Please click on the images to see the invitation and program enlarged. It’s truly a pity that there was not a great attendance and that the effort and work taken to plan and carry out such an activity was not as fruitful as it could have been. There are some items we learned at the Workshop that surprised those in attendance, such as the fact that the mosquitoes that transmit the dengue virus (aedes aegypti) do not need to bite a sick person to become carriers because they are now born with the infection. Additionally, they not only reproduce in clean water. It has been found that now they even reproduce in septic tanks, which makes it critical for all air exhaust pipes from septic tanks be covered with a piece of mesh bound with a rubber band or with a sock. The dengue virus is a very serious illness that has to be regarded with caution and respect, as the symptoms are increasingly becoming more severe. There have been 4 fatal cases in the central Pacific region. All clinics and hospitals in the region are overloaded. There has been a 300% increase in the number of cases compared to last year. We have more than 200 cases in Santa Teresa. A week ago when we had the Workshop there was one case in Montezuma. Today I received a call from Dr. Fabio Quesada, Chief of the Clínica de Cóbano, to inform me that there are now four cases and that this is cause for great concern as the situation could turn much worse at any time. I don’t know if you have seen, heard or read national news lately, but in case you have not heard, the Panamerican Health Office has given a national alert for dengue in Costa Rica, in particular for the central Pacific region to which we belong, being that this is the area where the greatest number of cases is being reported. If you have noticed a reduction in the flow of tourists this mid-year, you may draw your own conclusions as to the reason! FUMIGATION IS NOT THE SOLUTION! Fumigation only eradicates adult mosquitoes, leaving scores of larvae alive so that only a few days later they will be happily flying around infecting more victims! THE ONLY SOLUTION IS TO ELIMINATE THEIR BREEDING SITES! This is why I fervently urge everyone to face this problem together so that we can tackle it and triumph over this mortal enemy! LET US PLEASE ORGANIZE BY NEIGHBORHOODS AND FIGHT THE BATTLE TOGETHER! IT’S THE ONLY WAY WE CAN EMERGE VICTORIOUSLY FROM THIS DELICATE SITUATION! We must check rain gutters, eliminate plants that collect stagnant water, eliminate plates under potted plants, wash and regularly change our pets’ water dishes, check all our grounds and the surroundings of our properties, the educational facilities attended by our children, churches, commercial establishments, sports facilities … in short, it’s hard work that belongs to everyone and to each of us. Please be aware of the urgency of the situation and let’s take action now! This coming Wednesday, July 24, there will be an extraordinary trash collection run. We must gather all electronic and other waste, including old tires and any other object that may gather stagnant water and form a breeding site. Besides the yards and surroundings of our homes and businesses, we must also be concerned about our neigborhood’s shared public areas. Please take all of this waste out to the street for collection by Municipal Council personnel this coming Wednesday! Let’s get busy and be ready to offer our children, guests, visitors and ourselves a Dengue-Free Community! Together we can win the battle against dengue! Please! At least one representative of each household and another for employees in charge of groundskeeping and cleaning of each business! Only together can we prevent becoming ill ourselves and infecting our guests! Don’t miss it! We’ll see you there! CaTuMo would like to urge you to take action to collaborate with the Ministry of Health to create awareness of the urgent need for us to eliminate any possibility of mosquito breeding inside and outside of our homes and businesses. Many people continue to believe that fumigation is the solution, but this is not so. Together we can create a district of Cóbano that is free of dengue, but the Ministry of Health by itself can not have an impact on our actions. We need more commitment from each person in our community. Please help us protect the health of our residents and visitors! 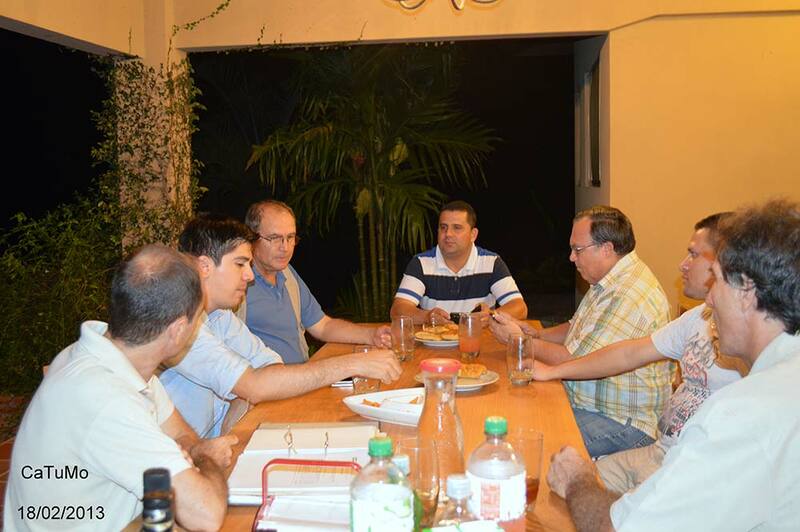 On February 18, 2013, at CaTuMo’s request, a meeting was held with the goal of making progress on the works to recover the road surface on route R624 Cóbano-Montezuma. Attending the meeting were engineers José Luis Salas Quesada, executive directo, Cristian Vargas Calvo, Road Conservation director, Reynaldo Mata Carranza, Guanacaste region director, all representing the Consejo Nacional de Vialidad (CONAVI) along with Cóbano Municipal District Mayor Mr. Omar Fernandez Villegas and CaTuMo directors Antonio Vallese Bianchi and Romano Cruz Jimenez. The meeting was held so that the new executive director for the CONAVI could gather the necessary information pertaining to the works done in the past and to set a date for the next meeting, which will take place in late April. In the April meeting the goal will be to trace the plan to involve all concerned actors such as the MOPT, the Chamber of Tourism, the neighbors in the community, and the Municipal Council so that each can individually contribute what’s required of them to continue with the works and have the CONAVI open a bidding process for this purpose. 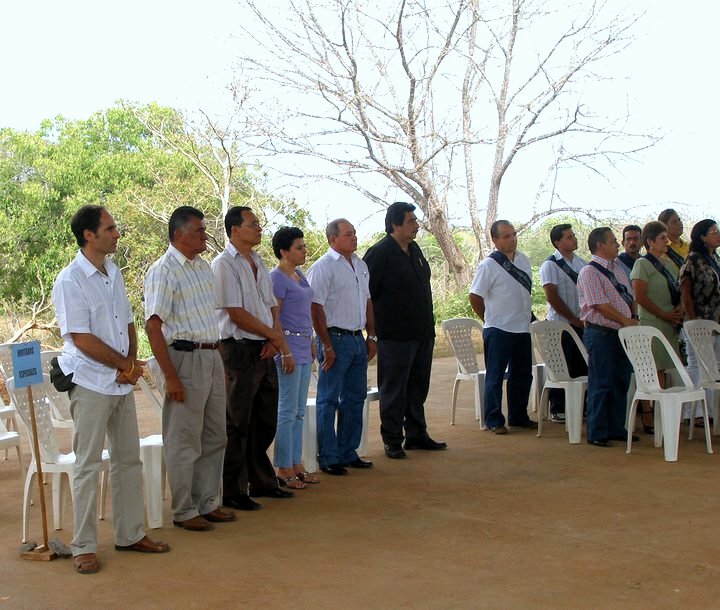 This image is evidence of the importance of CaTuMo’s efforts for the community and the recognition it receives from local authorities: CaTuMo president Antonio Vallese (at left) was a special guest at the swearing-in ceremony for the District of Cóbano Municipal Council in 2011. The Cóbano District City Council will pave the route segment in Montezuma ranging from the bus and taxi stop to the bridge over the Rio Montezuma. 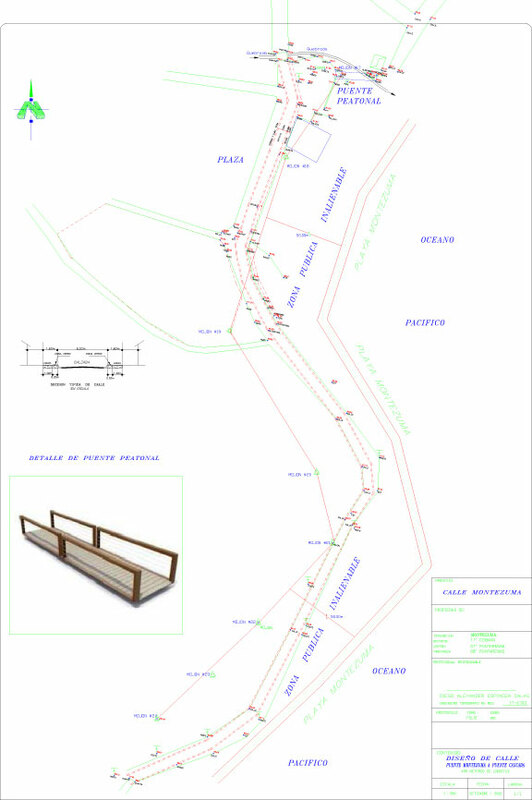 CaTuMo is working with the survey work and the project also includes the construction of a wooden pedestrian bridge that would connect from the bus stop to the street next to Hotel Montezuma and vice versa. The City Council will provide labor while CaTuMo will pay for the materials. 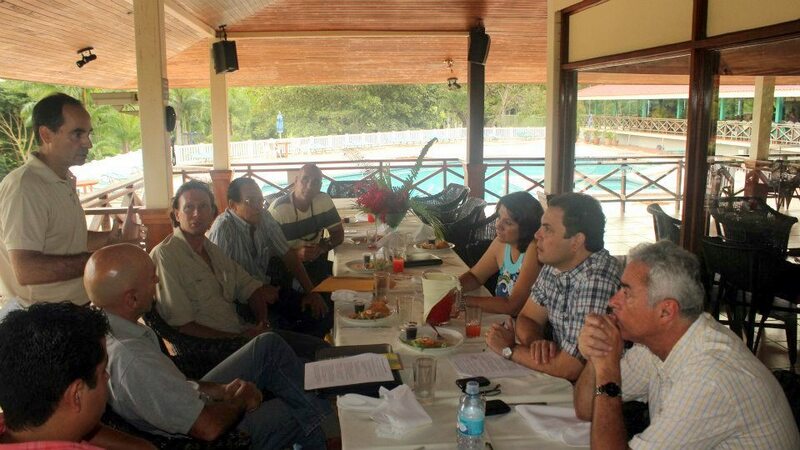 With great excitement and anticipation began the work of the newly formed Federation of Tourism Chambers Peninsular, which is made up by the Chambers of Montezuma, Malpais / Santa Teresa, Tambor and Paquera and aims to define urgent needs for the District that can be heard as one voice for the presidency. 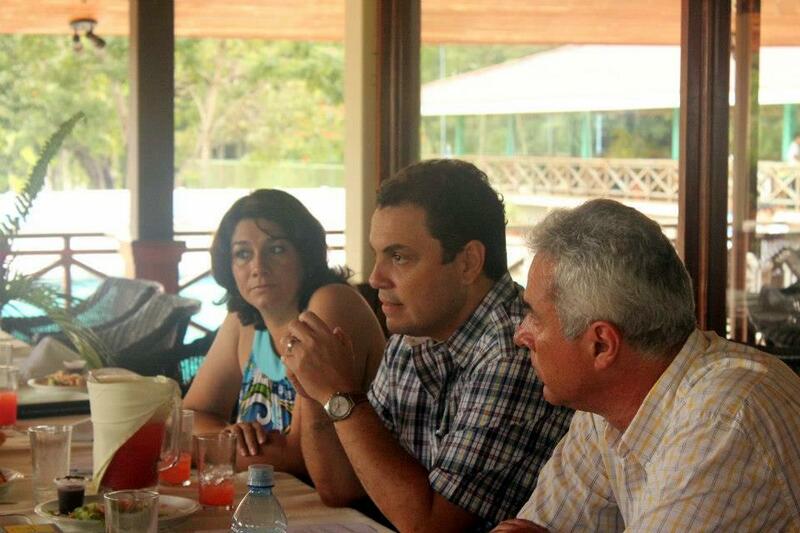 On Friday, October 19, representatives of each camera plus a member of the Municipal Tourism Commission met with the Minister of the Presidency Carlos Ricardo Benavides, the general manager of the Institute of Costa Rica Tourism Juan Carlos Borbón, National Liberation Party Deputy for Puntarenas Mrs. Agnes Gomez and current members of the regional office of the Puntarenas ICT. I hope you are well. I would like to invite you to attend the Code of Conduct Workshop against sexual exploitation of children and adolescents, to be held in coordination with the Chamber of Tourism of Santa Teresa and Montezuma. 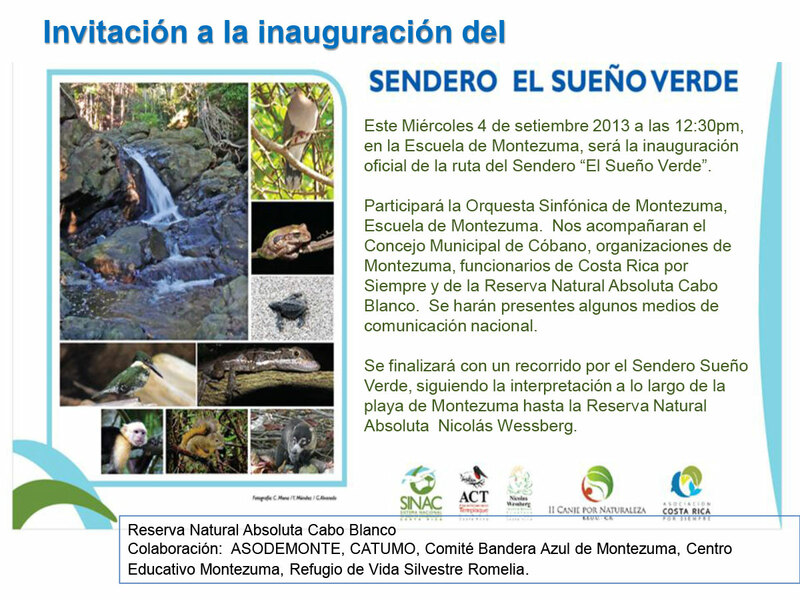 The workshop will take place on September 12 at Hotel Luz de Mono in Montezuma. This training is very important for tourism and is required to obtain the Certificate for Sustainable Tourism (CST), so we invite you to actively participate and urge you to invite your contacts. The invitation information is attached. 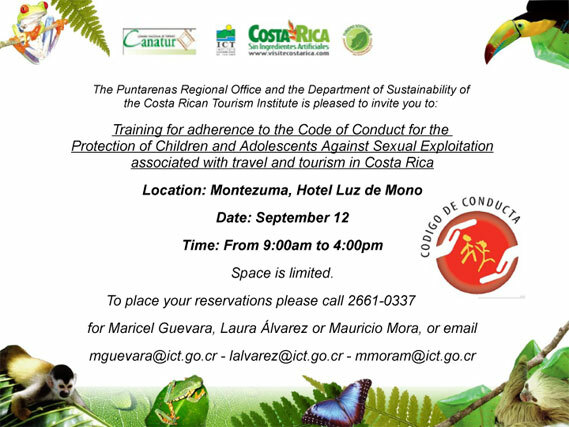 The Department of Sustainable Tourism and the Regional Office of Puntarenas are pleased to invite you to participate in training for adherence to the Code of Conduct Against the Exploitation of Children and Adolescents Associated with Travel and Tourism. This training is the first requirement in the process for signing the Code of Conduct, and is required to obtain the Certificate for Sustainable Tourism (CST) and is therefore aimed at companies that still do not have membership, which may send two representatives of the same, which can then replicate the training to the rest of their colleagues. Enclosed please find the invitation with details. For more information call Maricel Guevara at 2661-0337. To RSVP, please reply to this email, if possible with the names of two nominees. Our Best Wishes for the New Year, beginning with good news! Dear Community Members of Montezuma! We at CATUMO would like to wish you all a happy and healthy holiday season! We would like to take this opportunity to thank you for all of your support and participation during the last year which aided us greatly in all our endeavors! 2011 was definitively a learning experience that yielded spectacular results! here’s to a year of success, Success of the recycling program, of finally having the hill paved and above all, the development of a clearer method/channel of communication among the citizens of our little village. It is very important to leave the recyclables in a visible place on the road so our collector (Macho) can see them. They have to be in a properly sealed plastic bag and please make sure that the bag only contains recyclables and not organic waste or general trash. We also request that you separate the recyclables. If you have any doubts on what materials or containers we accept please do not hesitate to send us an email and we will be glad to forward you the information about “the what”, “the when” and “the where”. 3 – The new Recycling center is already up and running! It is located in Delicias where volunteers help us with the separation, flattening and packing of the recycling. And at this point we would like to thank Ori from Amor de Mar for helping us with the daily transportation of the volunteers from Montezuma to Delicias! It is important, however, to finish the construction of the Recycling Center: It is rather urgent for a water tank to be installed on site to aid in the recycling process. Thus, we are currently seeking the following materials: cement, pipes, building supplies, and lastly a donation of money to build it. The water meter alone costs ¢180.000, so any contribution now is very needed and welcome. Thank you for your kind attention. If you are interested in more info about the Recycling program and the new center or would like to make a donation please contact: Antonio ( antonio@tajalin.com ), Ori (Tel. 2642-0262) or Sandy (marketing@paraisopublicidad.com ). The Montezuma Tourism of Chamber is pleased to invite its membership to the GENERAL ASSEMBLY MEETING that will be held next Monday, June 13, 2011 on the upstairs loft of Hotel Montezuma at 3:30 p.m.
A meeting was held last Wednesday, March 30th, to discuss the works to be carried out on Cóbano – Montezuma Route 624. 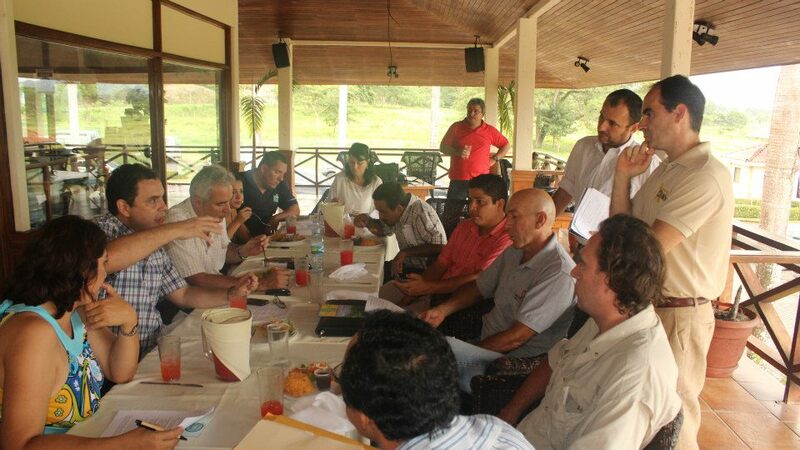 Present at the meeting were Montezuma Chamber of Tourism president Antonio Vallese, Cóbano mayor Omar Fernandez, CONAVI subdirector Miguel Arroyo, Quebrador Manchester of Tambor sales manager Luis Prendas and a neighbor from Cóbano. After four hours a direct contracting was worked out for the preparation of the base, sub-base and the application of a rolling surface for this route for a cost of approximately ¢125,000,000.00 and requiring the use of 7,000 m3 of material. The next step is a bidding process including a maximum number of three contractors followed by the initiation of the works on the road in approximately two months. In view of this, the president of CaTuMo requested a meeting with the executive director of the CONAVI, engineer Carols Eduardo Acosta Monge, to request a more expedient initiation of the works given that the condition of the hill is such that it is risky to delay for so long. Montezuma Recycles: A total success! 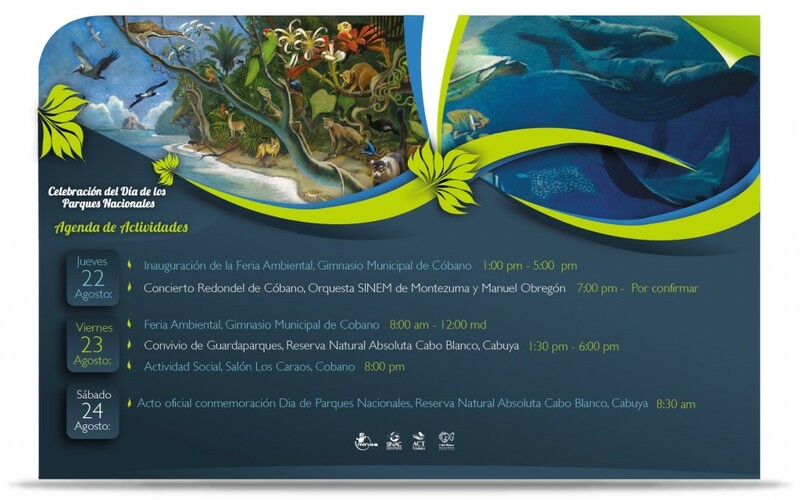 The Montezuma Chamber of Tourism would like to extend our most since gratitude to every person who participated and, through their effort and collaboration, made this proyect possible. We especially thank El Sano Banano for their food donation, Amor de Mar for providing us with a venue and food, Cocolores, Orgánico and Roberto Acevedo, Tiani Gatti and Hodges for their confections, Mamma Maria bakery, Pipasa for their appetizer donation, L’Angolo Allegro, Astrid Schultze, Romano, Jairo, Lenin and all the volunteers, Christina Sherman and Jorge ‘Empanada’ por helping out at the sales stand, to Madeleine, Tad and Jana, Marlen Delgado, Tairona, Jairo Solano and Teresa Cerdas. Our thanks to to all the musicians and artists! 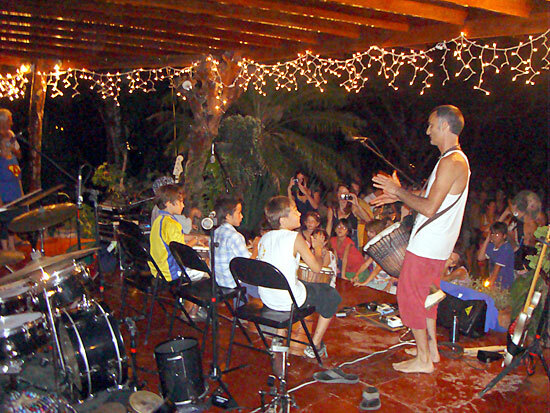 To Macana, Cristiano Bonfigli, Orquesta Sinem-Montezuma, Toli, Chisco, Cecilia, Jorge Roseman, Eli, Geoff McCabe, Joseph, Ninoska Gomez, Irene and Gabriel and Barbara for their beautiful performances and great music. Thanks to all who participated in the fabulous ‘Ticos vs. the Rest of the World’ soccer match and our congratulations to the winners: The Ticos! Thanks to Mario, Macho and to all those who are involved in the daily task or collecting and processing our recyclables. Our first ever Recycling Festival, from which we have learned much and gained experience for future and BETTER festivals and events. Thanks to all of Montezuma’s community for assisting and joining us in this day full of art, music and flavor! Thanks to all those people who supported us and whose names may elude us at this time. We take advantage of this opportunity to invite you to attend CaTuMo’s meetings, where we will gladly welcome all suggestions and ideas to improve and nurture this wonderful place. Pure Recycling and Pura Vida! 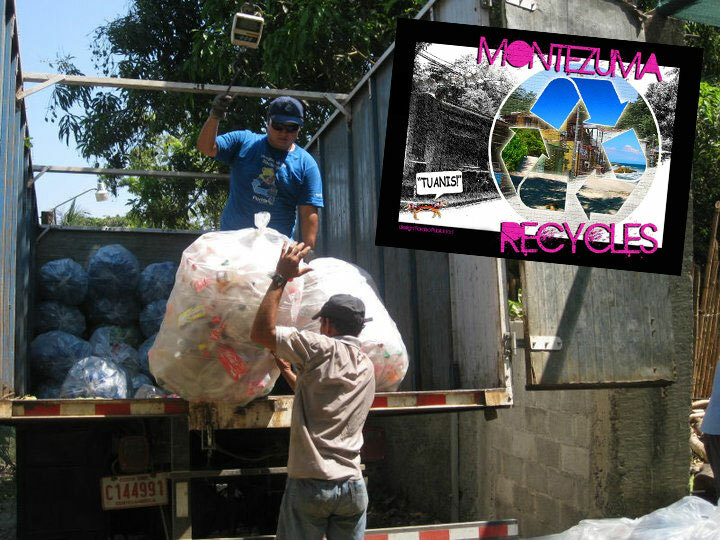 Please click here to visit the “Montezuma Recycles” page on Facebook. (Español) ¡Buenas nuevas en Montezuma! (Español) Trabajos a realizar en la comunidad.